I’ve been in prison for a long time – almost thirty-three years since I was sixteen years old. I’ve seen a lot of changes over the years: outside (the walls) and inside (the walls). I’ve shuffled in and out of four different facilities: two with walls obstructing my view and two without. I prefer the ones with walls. 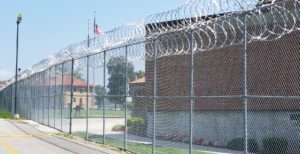 When I was at the Indiana State Prison, they had to repair the walls that surrounded the prison. I thought I would enjoy seeing out beyond the walls after not being able to observe the scenery for so long. I was wrong. It was too painful. I couldn’t wait for them to put the walls back up. Now I understand why they kept the walls up. Really, it was an act of mercy. It would be pure torture for someone with a life sentence or even a long sentence like mine to have a look at what he may never be. I’ve learned to keep the walls up. I see only fences around this prison, but the walls of my mind remain today. It’s the only way to deal with the pain.